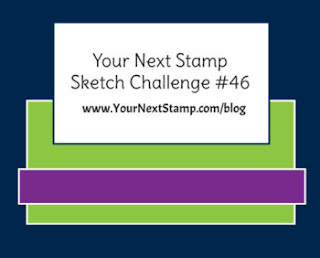 There's still time to join us over on the YNS Blog for Challenge #46. 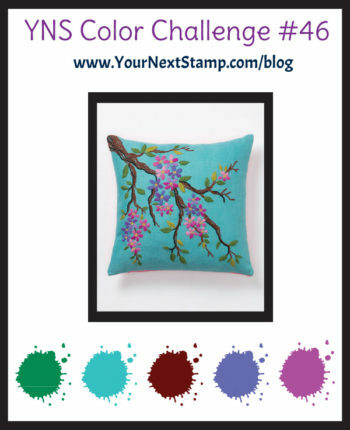 Today we have a new round of inspiration from the Design Team using the Sketch and Color Challenge. I paired the Halloween Phoebe set with the Halloween Graveyard set with the Sketch for a fun scene. 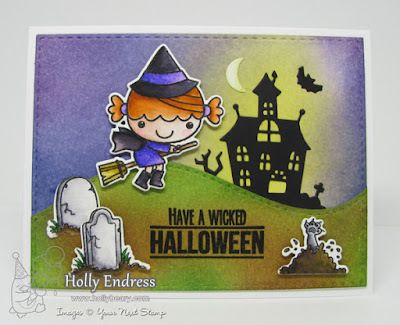 I started with some Bristol card stock and I added die cut a panel using the Stitched Rectangle dies. Then I cut a second panel and used the Double Stitched Hills die on the lower half. I added some color with Distress inks on both panels and set them aside to dry. I stamped all the images onto some White card stock and colored them in with Zig Clean Color Real brush markers and added a little water with a brush to create a watercolor look. 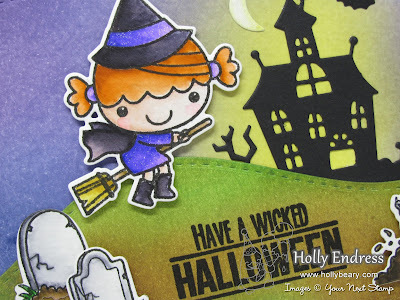 Once the images were dry I die cut them with the coordinating dies. I also cut the Haunted House and Bat from the Halloween Phoebe set with some Black card stock. I created a White card base and assembled the scene with all the pieces. 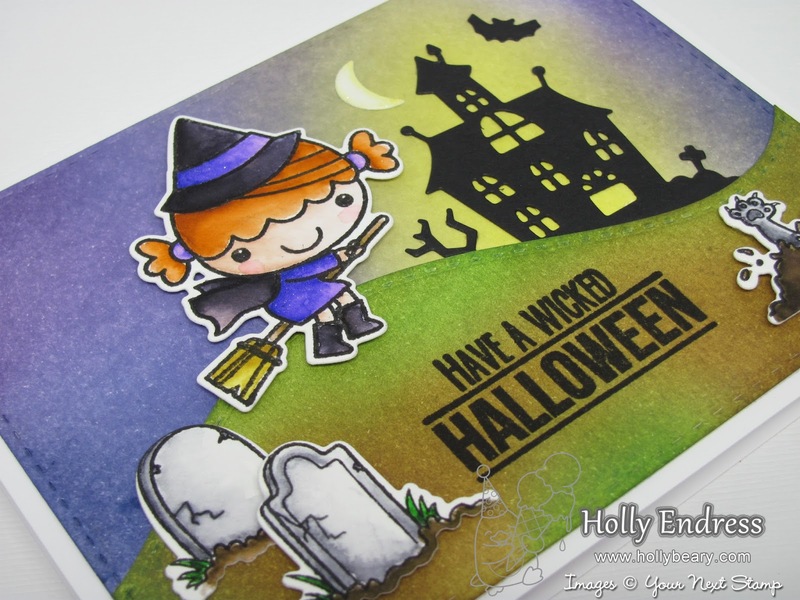 The sentiment was stamped using some VersaFine Black ink before I adhered it to the front of the card. Head over to the YNS Blog for more inspiration from the Team and Join in the fun. The linky will be open until Thursday September 1st.